I noticed the layout of 'my org' has changed. The account settings part now occupies around two thirds of the browser window. 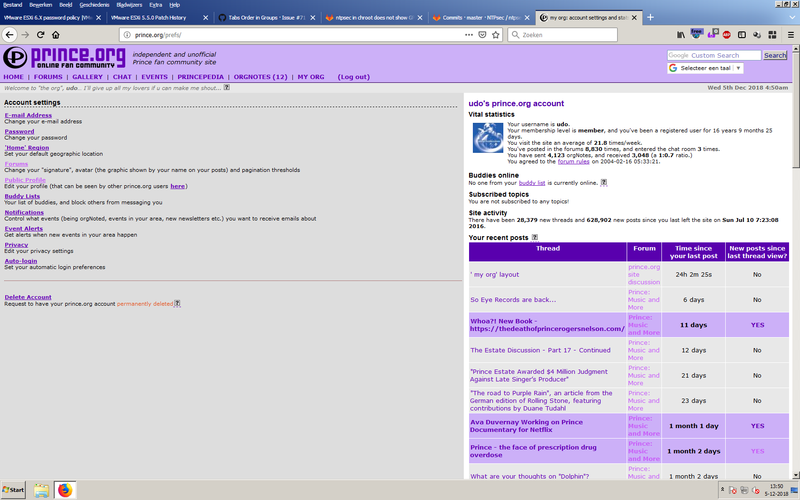 The Forums view appears unaffected. So how can this be fixed? Me too. I sent a screenshot to Ben showing him the issue. I see the same issue on Firefox on Windows 7. I tried restarting my computer and it still looks the same. I logged out and back in i still get the same issue. Every thing looks fine in Microsoft Edge. Everything looks normal on my mobile device. I am having the same issues that the two of you posted images of. Can we say since which date we see this issue? I noticed it around the end of last week but don't know how long the problem was there. I have Microsoft Edge, and I ended up having to delete all cookies and clear all history, and it's working ok now. Don't know if this will help yours or not. I have passed this thread onto the Founder. Please keep reporting any glitches you come across, thanks.